The living room is the most important part of your house because it’s the room that is the most lived-in. You spend most of the time with your family in your living room and it also is the first place your guests come in. Hence, it is obvious that it needs extra attention when it comes to home décor. The style of your living room depends on many things like its size, design and most of all, your personality. Your living space speaks the most about the kind of person you are and about your hobbies. 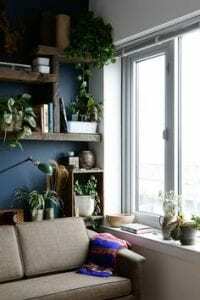 Whether you are looking forward to renovate your living room or simply for the ideas to tweak it a little, we have assembled 16 simple living room décor ideas for you to revamp your living room. We are suckers for colors and the pastel shades are to die for. Make your living room bright and cheerful by throwing colors around like confetti. You can choose contrasting colors for your couch and cushions and add floral essence to the décor by either adding a floral print carpet or by opting for vases with flowers in them. The whole ensemble will bring out your personality and the colors, of course, have the natural tendency to brighten up the mood. 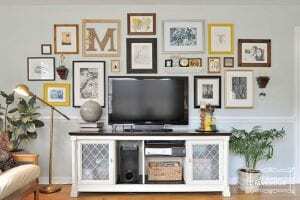 The idea is to gather all the frames and décor pieces that you have and arrange them artistically around your TV. 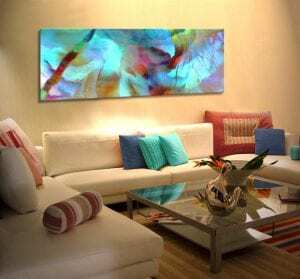 The frames can carry your pictures or some abstract art; can be big or small; all you have to do is arrange them in a mosaic form and fill up the surrounding space around your TV. The idea is inexpensive and uses up all the frames that usually don’t work anywhere else around the house and lay forgotten in the corner. The easiest way to upgrade any room is to add a cool wall decal to it. 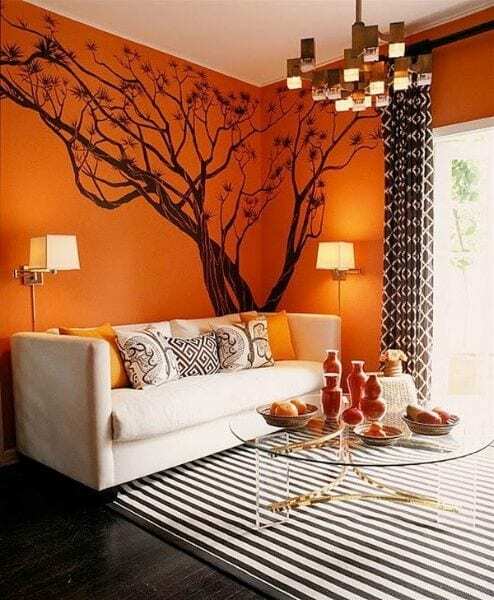 Get a wall decal that goes with the color scheme of your room and chooses a corner that is likely to flatter it the most. You will find tons of designs that you can choose from, but make sure you don’t go overboard with the idea and stick to one decal per room. Don’t limit your love for nature just to your garden when you can bring Mother Nature inside your house. Plants, when planted in fancy pots, can serve as great accessories to adorn your living room. The room will instantly look fresh and alive. Whether it’s winters or summers outdoors, it will always be spring season in your living room. Art has no rules; you can get as artsy as you like with your style. Put an impressive artwork on a wall and take inspiration from its colors and patterns. 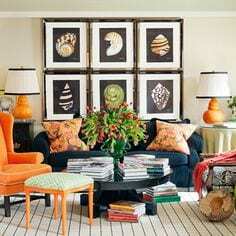 Decorate your living room by using the color pallet of your painting in accessories like cushions or centerpieces. The whole ensemble will add an element of surprise to your living room. Shove aside those old-school book nooks because once you have a look at these clever bookshelves, you will crave to own more and more of them. 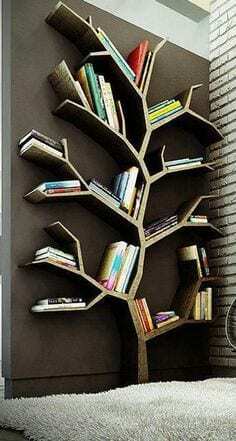 For the books filled with creative ideas, you need a bookshelf as creative. From the floating shelves to a tree bookshelf, you will find dozens of great ideas to add magic to your living room. It is one of the easiest and inexpensive ways to add a hint of your personality to the room and an excuse to buy more books. Everybody has a favorite color but some of us are a tad crazier than others about their favorite color. If you are one of those people don’t limit your color to your clothes and shoes because you can safely splash the color in your living room. The drapes, the wall, the furniture and the cushions; your color can dominate everything and still look chic and elegant. But take care that you choose varying degrees of the color and choose different prints and patterns to make the color work. 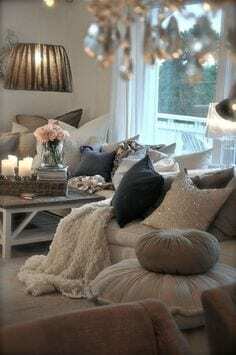 Throw some furs, sequins and big, fluffy cushions to add a touch of glamour to your living room instantly. Elegance and style don’t always cost a fortune; if you are on a tight budget, choose simple pieces like furniture and walls and dress them up with sequins and faux fur to make your living room look cozy and expensive. You can keep your walls simple and go for sheer white curtains and some great lighting for a great base. Curtains are underrated a big time when it comes to décor. 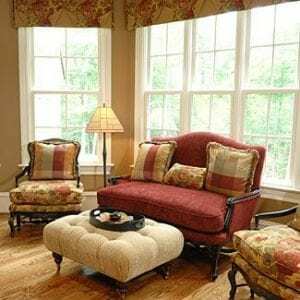 Curtains are very versatile and can be styled in many ways to customize the whole look of your living room. You don’t need fancy, pricey drapes to make your living room look attractive. 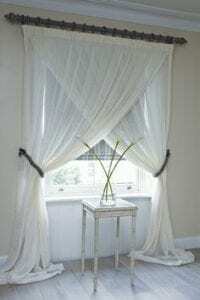 Instead, use simple curtains and veil your windows in an artistic manner to create an arresting look. 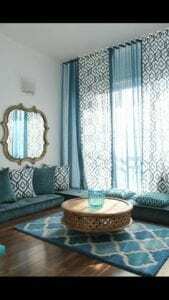 There are endless ways to use curtains as an accessory to spruce up your living room; you can overlap them or use creative tie backs and you have yourself a great living room that inspires. Don’t tuck away all the Christmas just yet! Mellow yellow lights on a string can be used as a great décor item to brighten up your living room. Simply hang them above your couch across the windows and your living room will seem cheery and cozy in no time. It’s a great way to use the old lights that spend rest of the year in a box after Christmas. 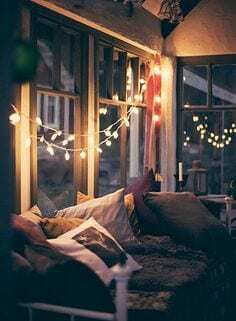 This way you don’t need to spend extra cash and you can use lights to create décor pieces of your own. Don’t you just adore animal prints for your clothes and shoes? 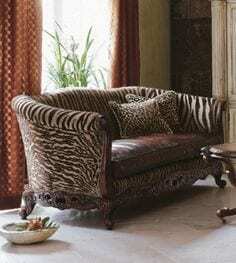 Don’t be afraid to take your love for animal print in the living room. Get an animal printed couch or a carpet and keep the rest of your furniture simple so that it stands out in your living room. However don’t go overboard with the idea and choose either a furniture piece or a floor rug and let the single item enjoy the limelight. If you are a lover of art, display it in your living room. 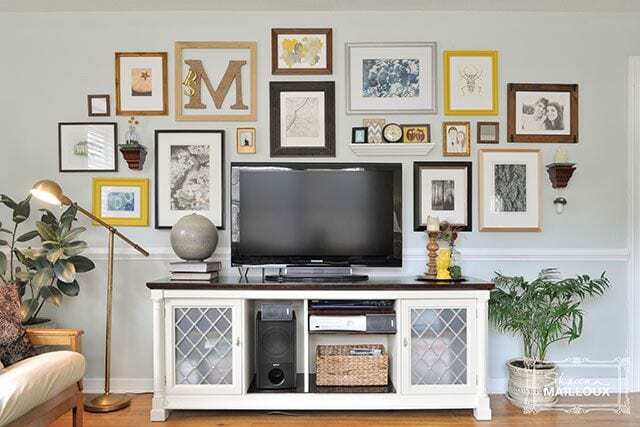 Bring together some small artsy photo frames or paintings and form a tight grid behind your couch or on an empty wall to introduce some drama in your living room. The technique is simple and can change the whole aura of your living room. 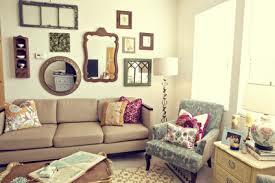 Quirky and gorgeous mirrors are great alternatives for those who don’t like the ideas of paintings and frames. You can go for big modern mirrors or the dainty ones; the choice is yours. Team the mirrors with excellent lighting to enhance the whole look and to scatter the light. A classic white couch can be sometimes tricky to incorporate in your living room. But if you figure out a way of styling the couch perfectly, you will have yourself a living room that oozes charm and sophistication. Choose neutral colors for your other accessories and add a bit of nature’s green hues to the room. Bring a pretty plant into the room and let the windows be naked or drape them with sheer white curtains to make your living space look airy and light. Bold colors, detailed cushions and blankets with burnt sienna walls are perfect for the gypsy soul in you. For those who are into modern bohemian style; living room is the best place to portray your style. Throw together some mismatched colors and patterned cushions and rugs to create the look and don’t forget a fancy vase in a corner to give it a finishing touch. 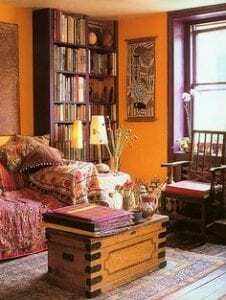 The gypsy style wall arts or hanging are another must to perfect the look and of course, the rustic wooden furniture will be a cherry on top of your bohemian living room. These are really amazing living room decoration and design ideas. These are simple and easy way to change the whole look of living room. Thanks for sharing this. Every idea has its own beauty and uniqueness. They all look great, specially the decals and classic white. These designs will always be on trend. I love your article…..Accurately said. I understand what you’re pronouncing, and I assume I accomplish cohesiveness with shades in my home. (I even have light beige walls and stick with blues, yellows and green touches (mostly with plants). My hassle is that I have way too many exceptional styles! I have many Eastern/Asian accents (and a couple of small black lacquer shelves) in my formal living room. My kitchen has touches of French united states of America with a set of black tole art trays and blue Roseville Pottery, and my circle of relatives room is going into rustic items with iron accents! OMG, it’s a large number. However, I love a lot of these patterns and things that go along with them…..I love the whole thing from worn barn siding tables to jade Buddhas. Many of the oriental matters were given to me as my husband’s family is from Hawaii. I DO KNOW that I’m very drawn to an impartial color pallet with plenty of different textures and I want to move in that direction as my pockets permits. Where do you propose I start? Do I put off the formal oriental decor? How do I integrate my beautiful blue and white temple jars with baskets and chippy flower pots? Please help!!! I’ll appreciate any words of expertise!